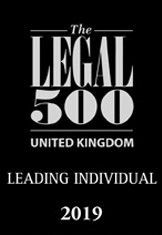 Simon is recognised as a leading Junior in both the leading legal directories: the Legal 500 and Chambers & Partners. Previous editions have commented that Simon is “intelligent, persuasive and diligent” (2018); “he shows excellent analysis of the evidence, and delivers relevant, well-presented closing speeches” (2017); “he is confident on his feet and a strong cross-examiner” (2016) and that “his grasp of the detail is outstanding” (2015). 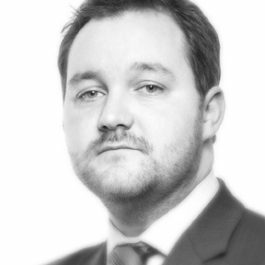 Simon has an extensive practice specialising in serious criminal litigation and regulatory proceedings, with a particular focus on professional discipline. He has substantial expertise in defending professionals accused of offences before the criminal courts and of misconduct in proceedings brought by professional regulators. His areas of expertise complement one another, enabling him to offer a comprehensive service to professional clients seeking advice and representation. In the criminal jurisdiction Simon is instructed across the spectrum of serious criminal offending. He is involved in cases of the utmost gravity, sensitivity and complexity. He has particular expertise in defending allegations of fraud and financial crime and conducting cases arising from alleged organised crime, involving firearms, controlled drugs and violence. He has appeared in recent high-profile murder cases and has an unrivalled track record defending allegations of historic sexual abuse. He is particularly sought after in cases involving voluminous material and cases with a technological aspect. Simon is often instructed pre-charge in substantial cases to advise upon challenges to search warrants by way of application for judicial review; applications to discharge restraint orders and resisting applications for forfeiture of assets. For more details about Simon’s criminal expertise and experience, please click on the link to his Criminal Law CV. Simon also specialises in regulatory law, with a particular focus on professional discipline. In the field of professional discipline, he has extensive experience representing medical practitioners, dentists, nurses and midwives, pharmacists, healthcare and social workers, solicitors, police officers and other professionals facing investigations into their fitness to practise by their respective regulators. Simon is retained to advise practitioners at the early stages of such investigations and, if unable to bring the investigation to a swift end, he provides representation throughout the proceedings, not only before the tribunal but also in appellate proceedings. He advises practitioners on regulatory matters relating to licensing and registration and regulatory requirements imposed by the regulator, the NHS and the Care Quality Commission. In the wider regulatory sphere, Simon represents clients accused of breaches of regulations relating to health and safety at work, fire safety, environmental law and trading standards legislation. He is instructed to advise companies and individuals under investigation and to provide representation to those charged with regulatory offences in both the Crown Court and Magistrates’ Court. Simon is appointed to List B of the Specialist List of Regulatory Advocates, the list of advocates retained by public agencies responsible for prosecuting alleged regulatory offences. He has also appeared in a number of significant cases before the First Tier Tribunal (Tax Chamber), Upper Tribunal and the Court of Appeal arising from the refusal of HMRC to repay input tax. For further details about Simon’s regulatory expertise, please click on the link to his Regulatory / Professional Discipline CV. The success of Simon’s practice is founded upon his ability to build a good rapport with clients and tribunals alike. He has built a strong reputation with a wide range of clients who value his intellectual ability, tactical acumen and outstanding attention to detail. His client care skills are much praised. He brings diligence, sound judgment and tenacity to every case to ensure the best possible result for his clients. Simon prides himself on offering a first-rate service and maintaining a close working relationship with those who instruct him, whether a professional client or lay client instructing him directly. He is licensed to provide advice and representation under the ‘Public Access’ scheme directly to members of the public.